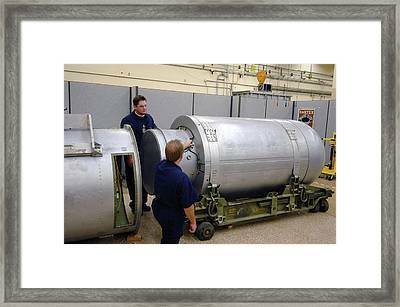 B53 Nuclear Bomb Disposal is a photograph by National Nuclear Security Administration which was uploaded on July 24th, 2016. 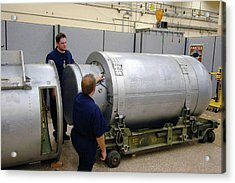 B53 nuclear bomb disposal. Nuclear technicians working with a B53 nuclear bomb to safely dismantle it and dispose of its parts and nuclear payload. 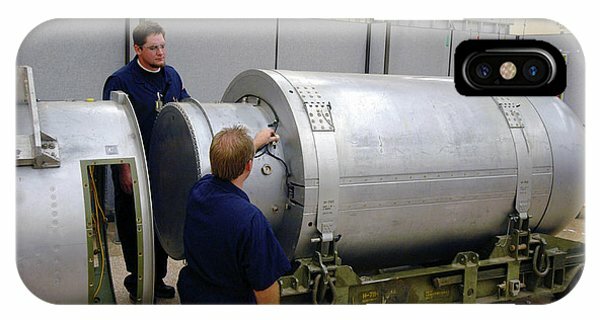 The B53, for use by bombers, is a bunker buster thermonuclear weapon with a yield of nine megatons. 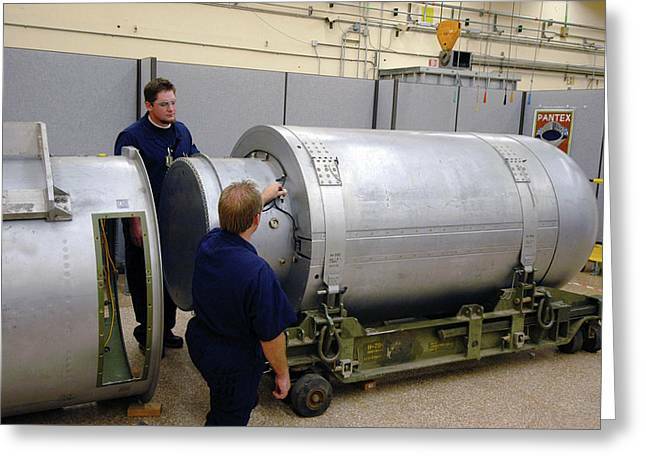 It was part of the armament of the US Army from 1962 to 1997. The US Department of Energy's National Nuclear Security Administration (NNSA) is responsible for safely dismantling weapons that are no longer needed, and disposing of the excess material and components. 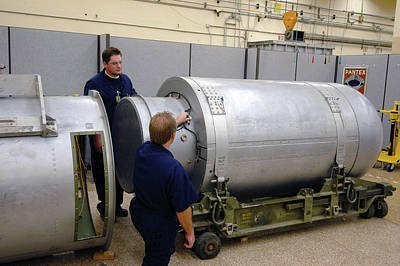 A reductions in US nuclear weapons was announced in April 2009. Photographed in August 2007. 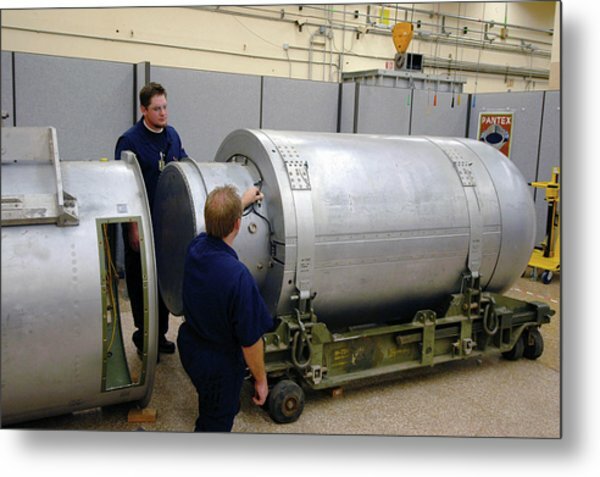 There are no comments for B53 Nuclear Bomb Disposal. Click here to post the first comment.